The official name for a new £200 million research boating vessel could be the RRS Boaty McBoatface thanks to (of course) the Internet. Looking for an “inspirational” name that “exemplifies the work it will do,” the Natural Environment Research Council opened up suggestions to name their new ship. “The ship could be named after a local historical figure, movement or landmark—or a famous polar explorer or scientist,” NERC said in a statement. 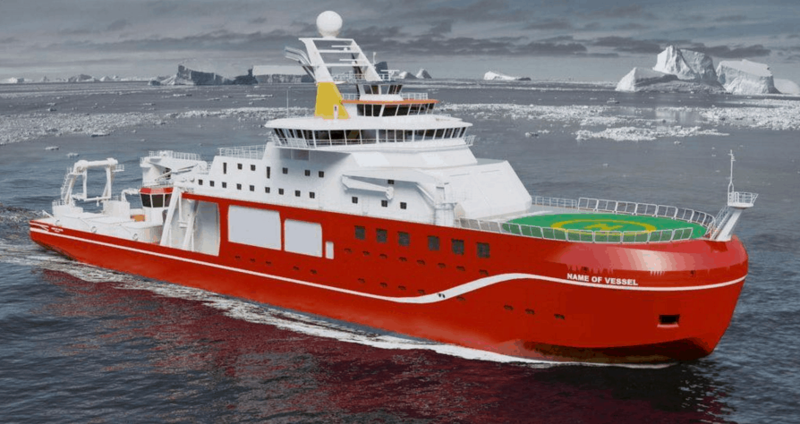 “We would like the name to be inspirational and about environmental and polar science, to help us tell everyone about the amazing work the ship does.” So, naturally the Internet responded with options like “It’s bloody cold here,” “Usain Boat,” “Ice Ice Baby” and “Notthetitanic.” But “Boaty McBoatyface,” suggested by Communications Manager James Hand (who later apologized for his input) has overwhelmingly become the frontrunner. Interest in the project has become so high that the website has periodically crashed due to unusually high volumes of traffic, presumably from fans of Boaty McBoatface. Oh, NERC, you should know better than to get the Internet involved on things like this.